To Eat Soy or Not to Eat Soy: 5 Tips to Cut Through the Confusion - Dr. Vivian Lord, N.D. | Dr. Vivian Lord, N.D.
One of the most common questions I get from friends, family and clients is about soy. Are you also wondering if soy is a “bad” food, or if you should eat it? If so this article is perfect for you! We’ll dive into this hot topic and I’ll help you discover how to eat soy wisely. First off, I’d like to invite you to take soy out of the category of “bad” food. I personally don’t like judging food and putting them into “good” and “bad” boxes because I think it creates conflict with such an amazing source of joy, healing, nourishment and happiness in our lives. In reality, as new research comes forward so many foods jump from being “good” to bad” and vice versa. Take FAT for example. For decades it was on the no-no list, and now certain fats are being put forward as the MOST important foods for reducing obesity and cardiovascular disease – two reasons you were told to avoid it in first place! I find the best approach when it comes to food is to keep an open mind, stay informed, and practice moderation. When it comes to soy this is especially important. Soy is a food source of what is known as a “phytoestrogen”. These phytoestrogens are weaker than your own estrogens and can actually help BALANCE your estrogen levels. Yes! If you tend to be low in estrogen, soy can be beneficial for you. Low estrogen is linked to issues like insomnia, vaginal dryness, hot flashes, memory problems, osteoporosis and menopausal symptoms. When you don’t have enough estrogen, the plant based estrogens bind your receptors and create more of an estrogen effect on your body. If you tend to be estrogen dominant, are on HRT, or exposed to high levels of toxic environmental estrogens from plastics, pesticides, receipts, or your cosmetics soy can also beneficial for you! Symptoms of having too much estrogen include PMS, weepiness, anxiety, heavy periods, bloating, migraines and mood swings. So, how does soy reduce your estrogen levels? It does this by binding your estrogen receptors. Plant based estrogens in soy are weaker than human and toxic estrogens so it’s actually better that they fill up your receptors. You can think of it like musical chairs. When the plant-based estrogens take up all the seats, the stronger estrogens are left floating around through your blood stream unable to lock into a receptor and influence your physiology. Phytoestrogens also bind protective estrogen receptors in your brain and bones but not the cancer associated receptors in your breast, uterus and ovaries. This is why soy isoflavones have also been shown to be protective against breast and ovarian cancer. Hopefully you can now see that the media hype around soy making you overly-estrogenic is not telling the whole story. Soy is a food I would recommend that you only eat wisely and in moderation. Here are some tips to help you find a happy balance with this potentially confusing little bean. 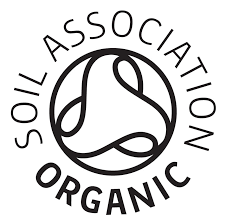 Choose organic, non-GMO soy – I’d recommend that you stick with how nature made soy. This can be a little challenging since over 94% of the soy grown in the United States was genetically modified by 2012, but your local health food store will have great options. 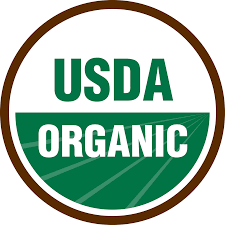 Look for USDA organic or soil association logo on the labels. Choose fermented soy – tempeh, natto, miso, soy sauce and fermented soy milk and tofu are fermented. The therapeutic ingredient in soy is more available to your body in fermented soy and they also contain gut healing probiotics. Choose foods that use the WHOLE bean – research has shown the whole bean to be beneficial, but the effect of highly processed forms like soy protein isolate are much less well understood. Keep these foods very much to a minimum. Check the ingredients on processed foods like protein bars, processed vegetarian foods and protein shakes. Balance with other sources of healthy isoflavones – chickpeas, lentils and kidney beans are also an excellent source of the gentle therapeutic plant-based estrogens. Pick one of these tips to get started on over the holidays – it could be simply reading labels on your packaged foods and looking for soy protein isolate, or taking note of whether your intake is way over the recommended amount and looking for non-soy alternatives You could also experiment with fermented soy foods! If you are still unsure about this food, or are wondering what foods are best for supporting your unique health issue I invite you to book a complimentary Health Insight call with me.